Sleep Dealer is a science-fiction set on the U.S. / Mexico border that tells the story of Memo Cruz (Luis Fernando Peña), a young man from Mexico who dreams of coming to the United States. However, in this brave new borderland, crossing is impossible, and Memo ‘migrates’ in a new way — over the net. 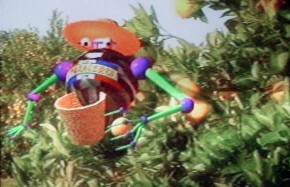 By connecting his body to the net Memo controls a machine that performs his labor in America, sending his pure work without the body of the worker. 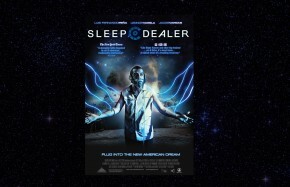 Sleep Dealer won awards at Sundance and the Berlin Film Festival, was screened at New Directors/New Films at MoMA and Lincoln Center, and had an international theatrical release. There are press reactions to the film here. The New York Times Anatomy of a Scene: SLEEP DEALER is here. Sleep Dealer is my first feature film. I made it, in part, because I love science fiction. 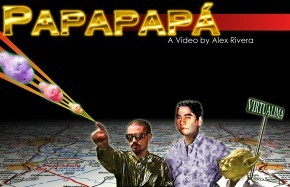 I grew up watching Star Wars, Brazil and Blade Runner. However, at a certain point, I realized that despite the genre’s wild stories and countless special effects, there were some things that were unimaginable – and that maybe there was an opportunity to do something radically new with sci-fi. In any science fiction film, you always have at least two ‘stars’ — the main character of the film, and the futuristic world itself. With Sleep Dealer I’m trying to do something we’ve never seen before with both. The main character in Sleep Dealer is Memo Cruz, a young man from a tiny village in the dusty desert of southern Mexico. Like the majority of people on planet earth today, he lives in the ‘third world.’ Memo lives in Latin American poverty, but dreams of something better – and in that sense, he has a lot in common with my dad, who immigrated to the United States almost fifty years ago from Perú. Sci-fi films almost always tell “outsider” stories, yet so often the heroes are not really outsiders – they’re police (Blade Runner, Minority Report, etc.) With Sleep Dealer, I wanted to put one of our world’s true outsiders – a migrant worker – at the center of the story. 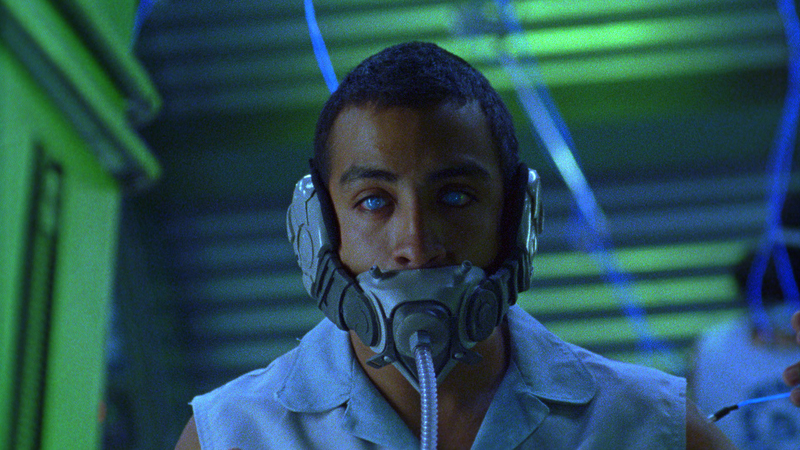 Two giant trends inspired my thinking about the future world of Sleep Dealer. On one hand I’ve been fascinated by the dream of a ‘Global Village,’ inspired by the internet. Technology has opened up new forms of connectivity and in many ways erased borders for communication. On the other hand, in a physical sense, the world is becoming more and more divided. Borders are violent and increasingly closed. The attacks on immigrants around the world only seem to intensify. The ‘Global Village’ seen from the other side of a giant border wall looks pretty strange. The paradox of a world connected by technology, but divided by borders, is the central concept of Sleep Dealer. Other present-day realities inspired my futuristic fantasy: violent reality shows like COPS, private military contractors like Blackwater, remote control drones like the Predator Drone, the trend of outsourcing jobs over the web, the impending global water crisis, and the ubiquity of video sharing sites YouTube to name a few. This is a science-fiction with many anchors in today’s reality. Sleep Dealer is my first film. It’s not anything like a Star Wars or a Blade Runner. In many ways it’s a humble film. But it’s also an honest attempt to use science- fiction film to say something new, and something true, about our world today. I hope you enjoy it. 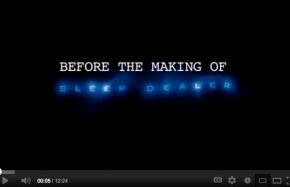 • SLEEP DEALER was released theatrically in over 30 U.S. cities.